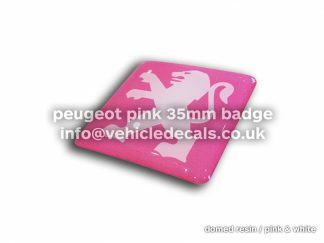 View basket “Peugeot 205 Mi16 1.9 GTi Quarter Badge Stickers Decal Red Vinyl Badges” has been added to your basket. 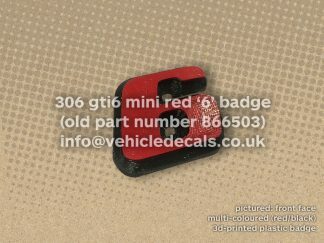 Here for sale are red decals for the Peugeot 205 GTi for those of you with 1.9 Mi16 engine conversions. 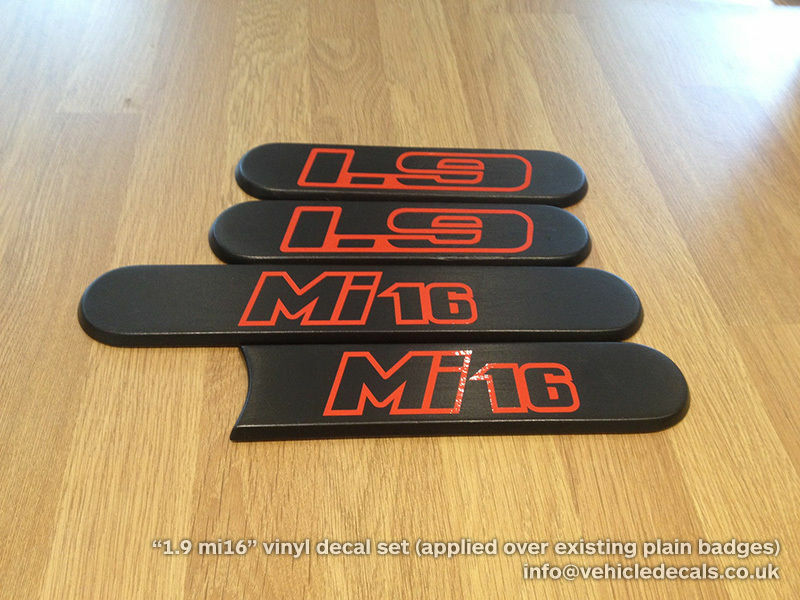 These are our own product and say “1.9 Mi16” as per the photos. These are plotted/cut from a red polymeric 5+year vinyl. 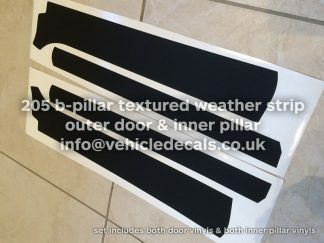 They are best applied over blank quarter panels or you can get away with sanding your old ones down and applying them over the top. 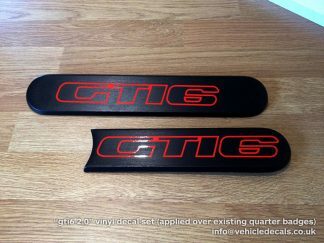 We’ve done quarter badges for our own Peugeot 205 GTi6 and numerous people on owners clubs in the past. 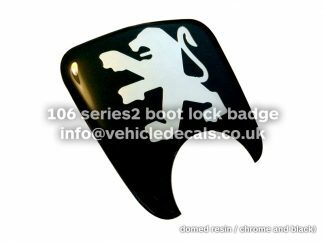 Everything is done by ourselves and is all in proportion to existing badge styles where possible, and have kept the same design/format of lettering where possible. Photos show where samples were quickly stuck onto some (badly sanded down) plain quarter badges we had to hand. They’re only roughly stuck on but you get the idea hopefully. 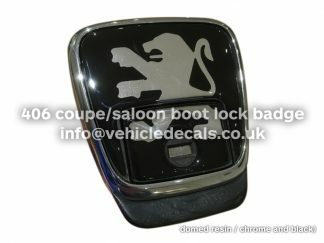 Photos show samples quickly stuck onto some (badly sanded down) plain quarter badges we had to hand. They’re only roughly stuck on but you get the idea hopefully. 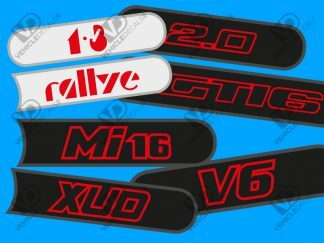 We can do custom ones to suit various different designs, such as GTi-6, XUD, Turbo, Rallye ones etc.  – get in touch with us!